In late August, Dyson released a YouTube video touting a new mystery product that was sixteen years and around $46 million in the making. The video prompted many to wonder if the British vacuum company finally had an answer to iRobot's Roomba, the popular autonomous vacuum cleaner. 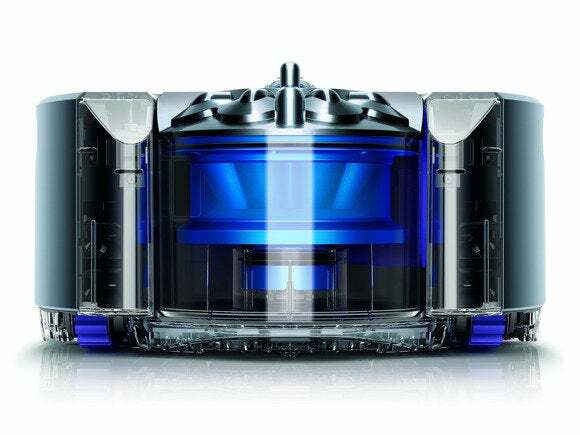 The speculation turned out to be correct, as Dyson on Thursday announced the 360 Eye robot vacuum. The new device has yet to get a price or official release date—but if you're hoping for a robo-vac with a see-through canister you may be waiting quite some time. The 360 Eye is set to go on sale in Japan next spring and the rest of the world later in 2015. That suggests a U.S. release date is at least one year away, if not longer. The underside of Dyson's 360 Eye robot vacuum. For neat freaks, the 360 Eye may be worth the wait. 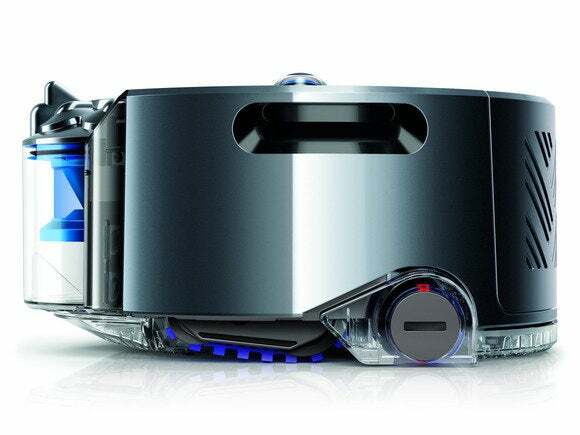 Dyson's robot vacuum uses a combination of infrared sensors and a 360-degree camera to map out its environs before cleaning. The Dyson vacuum lasts anywhere from 20-30 minutes on a single charge. A Dyson representative told TechHive that the reason for the wide variation in battery life is due to the specific obstacles the 360 Eye may encounter. The more pieces of furniture and other items the robot has to maneuver around, the lower the battery life. The 360 Eye also saves enough battery life to make it back to the charge station, the company said. Charge time for the device is about 1.5 hours. The 360 Eye's tank tracks keep the device rolling over rough or smooth terrain. One thing that may be a little more difficult for the 360 Eye compared to the devices like the Roomba is getting under hard-to-reach places such as beds and coffee tables with lower levels. The 360 Eye stands 4.72-inches tall compared, to 3.6 inches for most Roomba devices. In true, futuristic style, the 360 Eye's cleaning schedule and other settings can be adjusted while at home or remotely using a forthcoming mobile app for Android and iOS. But the real test of a vacuum is not the coolness of its tech, but how well it cleans. 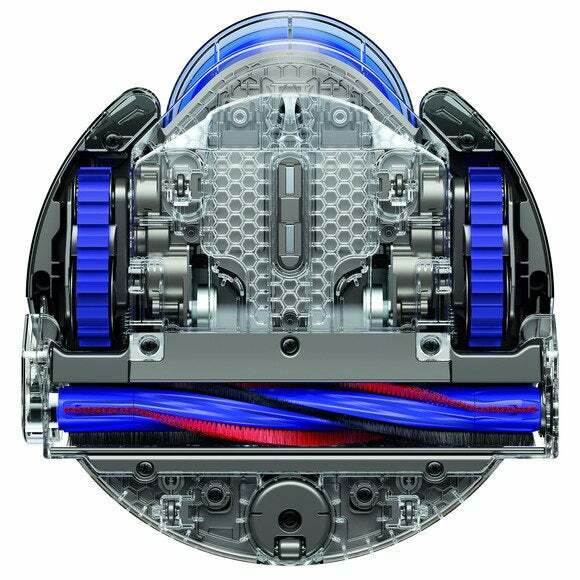 Dyson says its robot has superior cleaning performance compared to other robot vacs thanks to the V2 Dyson digital motor. The machine additionally includes proprietary technology, called Radial Root Cyclone, that allows the vacuum to pick-up particles that are 600 times smaller than an 11-point period on your average word processing document. The 360 Eye also has a brush bar that extends across the full width of the machine, which the company says allows it to more effectively reach room edges and remove fine dust on hard floors. Finally, the vacuum has tank-style caterpillar tracks to maintain traction across all floor types including carpets. Article updated on September 7 with a video from IDG News Service.